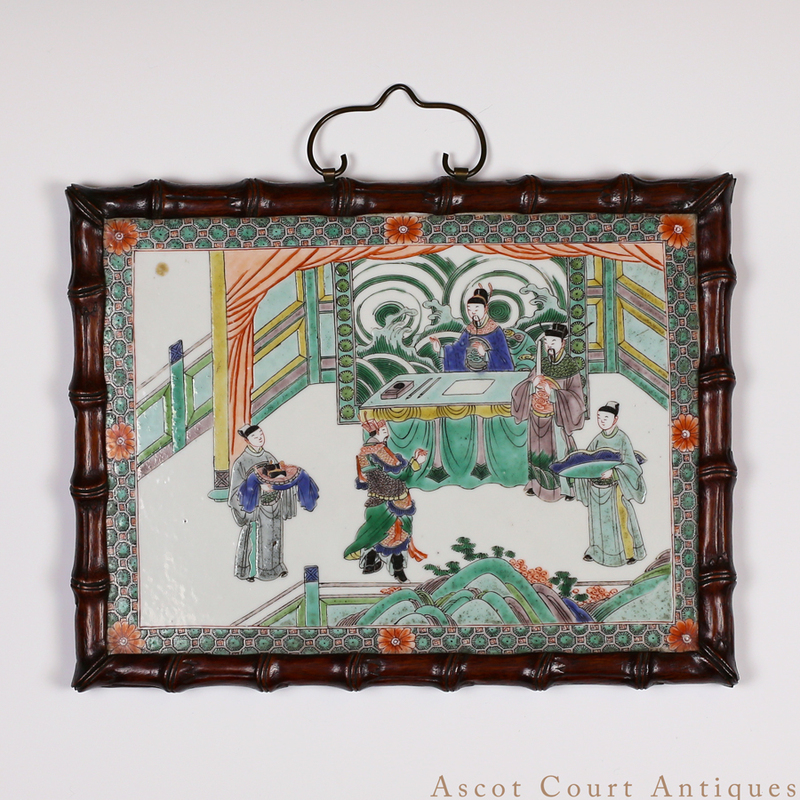 A rare Kangxi famille verte plaque, decorated with robust enamels depicting a political scene in which a general stands in court before a dignitary, with the central field enclosed by a classic Kangxi period ‘honeycomb’ border. Produced in the closing decades of the reign, this porcelain plaque benefits from several Kangxi period technological advancements– the formulation of a blue overglaze low-fired enamel, and the perfecting of a near-white glaze to pair with famille verte and rose enameling. Porcelain plaques such as this one would have been mounted in table screens, framed and hung, set in furniture, or employed as decorative architectural elements. 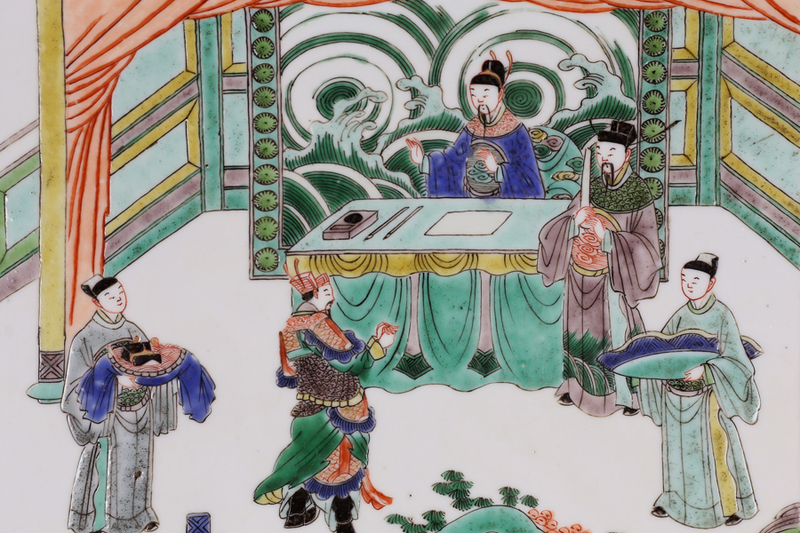 Collectors of Chinese ceramics favor plaques in that they are comparably rare compared to other forms (such as bowls or plates), and they exemplify fine Jingdezhen porcelain-making as a decorative art form in itself, independent of utilitarian considerations. 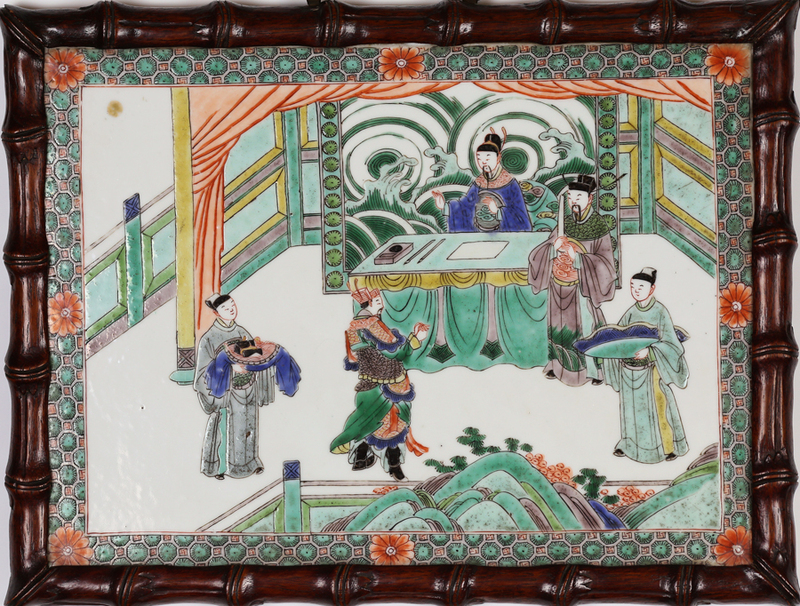 A framed famille verte plaque set from the Kangxi era is in the collection of the Beijing Palace Museum (obj. 111.13.49.196). 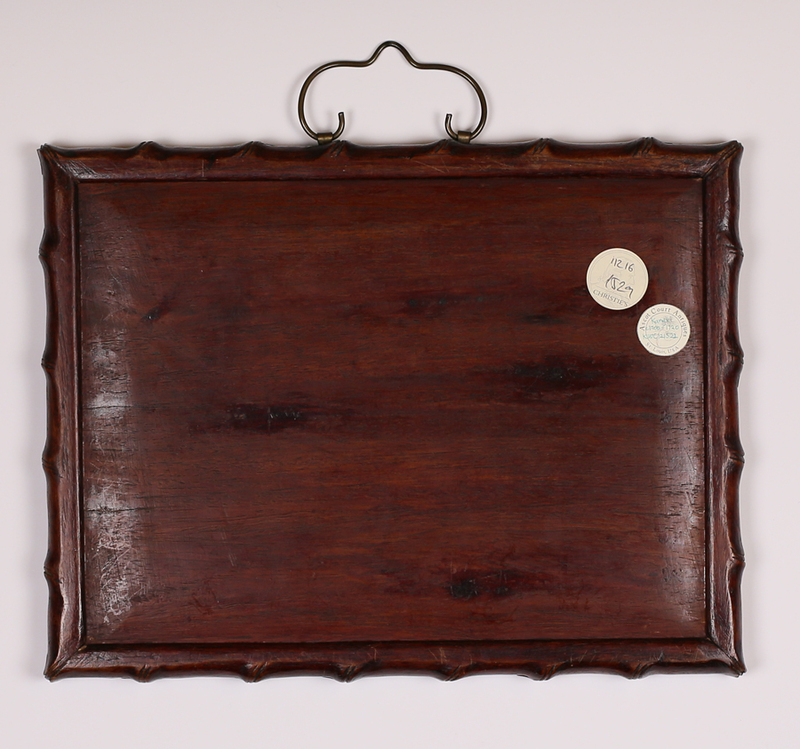 For a double-sided plaque mounted as a table screen, see Sotheby’s sale 9317 lot 293. An exhibition at the Nanjing Museum in 2015 featured several figural plaques with similar compositional design.